Documentation for mxTextTools in HTML format. mxTextTools is a collection of high-speed string manipulation routines and new Python objects for dealing with common text processing tasks. 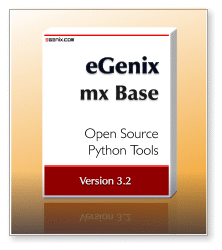 One of the major features of this package is the integrated mxTextTools Tagging Engine which allows accessing the speed of compiled C programs while maintaining the portability of Python. The Tagging Engine uses byte code "programs" written in form of Python tuples. These programs are then translated into an internal binary form which gets processed by a very fast virtual machine designed specifically for scanning text data. As a result, the Tagging Engine allows parsing text at higher speeds than e.g. regular expression packages while still maintaining the flexibility of programming the parser in Python. Callbacks and user-defined matching functions extends this approach far beyond what you could do with other common text processing methods. A note about the word tagging: this originated from what is done in SGML, HTML and XML to mark some text with a certain extra information. The Tagging Engine extends this notion to assigning Python objects to text substrings. Every substring marked in this way carries a 'tag' (the tag object) which can be used to do all kinds of useful things. Two other major features are the search and character set objects provided by the package. Both are implemented in C to give you maximum performance on all supported platforms. If you are looking for more tutorial style documentation of mxTextTools, there's a new book by David Mertz about Text Processing with Python which covers mxTextTools and other text oriented tools at great length. The Tagging Engine is a low-level virtual machine (VM) which executes text search specific byte codes. This byte code is passed to the engine in form of Tag Tables which define the "program" to execute in terms of commands and command arguments. The Tagging Engine is capable of handling 8-bit text and Unicode (with some minor exceptions). Even combinations of the two string formats are accepted, but should be avoided for performance reasons in production code. Marking certain parts of a text should not involve storing hundreds of small strings. This is why the Tagging Engine uses a specially formatted list of tuples to return the results. ● subtagsis either another Tag List created by recursively invoking the Tagging Engine or None. Note: Only the commands Tableand TableInList create new Tag Lists and make them available via subtagsand then only if the Tagging Engine was not called with None as value for the taglist. All other commands set this tuple entry to None. This is important to know if you want to analyze a generated Tag List, since it may require recursing into the subtags Tag List if that entry is not None. To create such Tag Lists, you have to define a Tag Table and let the Tagging Engine use it to mark the text. The string entries 'start' and 'skip' in the table can be used as jump targets for jump_no_match and jump_match. When compiling the definition using TagTable() or UnicodeTagTable() they will get replaced with the corresponding numeric relative offsets at compile time. The strings entries themselves get replaced by a special command JumpTarget which was added for this purpose. It is implemented as no operation (NOP) command and only serves as placeholder, so that the indexes in the Tag Table don't change when applying the jump target replacement. Starting with version 2.1.0 of mxTextTools, the Tagging Engine no longer uses Tag Tables and their tuple entries directly, but instead compiles the Tag Table definitions into special TagTableobjects. These objects are then processed by the Tagging Engine. Even though the tag() Tagging Engine API compiles Tag Table definitions into the TagTable object on-the-fly, you can also compile the definitions yourself and then pass the TagTable object directly to tag(). The Tagging Engine uses compiled TagTable instances for performing the scanning. These TagTables are Python objects which can be created explicitly using a tag table definition in form of a tuple or a list (the latter are not cacheable, so it's usually better to transform the list into a tuple before passing it to the TagTable constructor). The TagTable() constructor will "compile" and check the tag table definition. It then stores the table in an internal data structure which allows fast access from within the Tagging Engine. The compiler also takes care of any needed conversions such as Unicode to string or vice-versa. There are generally two different kinds of compiled TagTables: one for scanning 8-bit strings and one for Unicode. tag() will complain if you try to scan strings with a UnicodeTagTable or Unicode with a string TagTable. Note that tag() can take TagTables and tuples as tag table input. If given a tuple, it will automatically compile the tuple into a TagTable needed for the requested type of text (string or Unicode). The TagTable() constructor caches compiled TagTables if they are defined by a tuple and declared as cacheable. In that case, the compile TagTable will be stored in a dictionary addressed by the definition tuple's id() and be reused if the same compilation is requested again at some later point. The cache dictionary is exposed to the user as tagtable_cache dictionary. It has a hard limit of 100 entries, but can also be managed by user routines to lower this limit. The Tagging Engine reads the Tag Table starting at the top entry. While performing the command actions (see below for details) it moves a read-head over the characters of the text. The engine stops when a command fails to match and no alternative is given or when it reaches a non-existing entry, e.g. by jumping beyond the end of the table. If the commandmatched, say the slice text[l:r], the default action is to append (tagobj,l,r,subtags) to the taglist (this behavior can be modified by using special flags; if you use None as tagobj, no tuple is appended) and to continue matching with the table entry that is reached by adding jump_match to the current position (think of them as relative jump offsets). The head position of the engine stays where the command left it (over index r), e.g. for (None,AllIn,'A') right after the last 'A' matched. In case the command does not match, the engine either continues at the table entry reached after skipping jump_no_match entries, or if this value is not given, terminates matching the current table and returns not matched. The head position is always restored to the position it was in before the non-matching command was executed, enabling backtracking. The format of the command_argument is dependent on the command. It can be a string, a set, a search object, a tuple of some other wild animal from Python land. See the command section below for details. A table matches a string if and only if the Tagging Engine reaches a table index that lies beyond the end of the table. The engine then returns matched ok. Jumping beyond the start of the table (to a negative table index) causes the table to return with result failed to match. The Tagging Engine supports carrying along an optional context object. This object can be used for storing data specific to the tagging procedure, error information, etc. You can access the context object by using a Python function as tag object which is then called with the context object as last argument if CallTagis used as command flag or in matching functions which are called as a result of the Call or CallArg commands. To remain backward compatible, the context object is only provided as last argument if given to the tag() function (mxTextTools prior to 2.0 did not support this object). New commands which make use of the context object at a lower level will eventually appear in the Tagging Engine in future releases. The commands and constants used here are integers defined in Constants/TagTables.py and imported into the package's root module. For the purpose of explaining the taken actions we assume that the tagging engine was called with tag(text,table,start=0,stop=len(text)). The current head position is indicated by x. Note that for most commands, the matching string may not be empty. This is checked by the Tag Table Compiler. Causes the engine to fail matching at the current head position. Causes the engine to perform a relative jump by jump_no_match entries. Matches all characters found in text[x:stop] up to the first that is not included in string. At least one character must match. Matches all characters found in text[x:stop] up to the first that is included in string. At least one character must match. Matches all characters found in text[x:stop] up to the first that is not included in the string set. At least one character must match. Note: String sets only work with 8-bit text. Use AllInCharSet if you plan to use the tag table with 8-bit and Unicode text. Matches all characters found in text[x:stop] up to the first that is not included in the CharSet. At least one character must match. Matches iff text[x] == character. Matches iff text[x] != character. Matches iff text[x] is in string. Matches iff text[x] is not in string. Matches iff text[x] is in set. Note: String sets only work with 8-bit text. Use IsInCharSet if you plan to use the tag table with 8-bit and Unicode text. Matches iff text[x] is contained in the CharSet. Matches iff text[x:x+len(string)] == string. Matches all characters up to the first occurance of string in text[x:stop]. If string is not found, the command does not match and the head position remains unchanged. Otherwise, the head stays on the first character of string in the found occurance. At least one character must match. If string is not found, the command does not match and the head position remains unchanged. Otherwise, the head stays on the last character of string in the found occurance. Same as WordStart except that the TextSearch object is used to perform the necessary action (which can be much faster) and zero matching characters are allowed. Same as WordEnd except that the TextSearch object is used to perform the necessary action (which can be much faster). Uses the TextSearch object to find the given substring. If found, the tagobj is assigned only to the slice of the substring. The characters leading up to it are ignored. The head position is adjusted to right after the substring -- just like for sWordEnd. Calls the matching function(text,x,stop) or function(text,x,stop,context) if a context object was provided to the tag() function call. The function must return the index y of the character in text[x:stop] right after the matching substring. The entry is considered to be matching, iff x != y. The engines head is positioned on y in that case. Same as Call except that function(text,x,stop[,arg0,...]) or function(text,x,stop,[,arg0,...],context) (if a context object is used) is being called. The command argument must be a tuple. Matches iff tagtable matches text[x:stop]. This calls the engine recursively. In case of success the head position is adjusted to point right after the match and the returned taglist is made available in the subtags field of this table's taglist entry. You may pass the special constant ThisTable instead of a Tag Table if you want to call the current table recursively. Same as Table except that the subtable reuses this table's tag list for its tag list. The subtags entry is set to None. Same as Table except that the matching table to be used is read from the list_of_tables at position index whenever this command is executed. This makes self-referencing tables possible which would otherwise not be possible (since Tag Tables are immutable tuples). Note that it can also introduce circular references, so be warned ! Same as TableInList except that the subtable reuses this table's tag list. The subtags entry is set to None. Matches iff the head position is beyond stop. The match recorded by the Tagging Engine is the text[stop:stop]. Always matches and moves the head position to x + offset. Always matches and moves the head position to slice[position]. Negative indices move the head to slice[len(slice)+position+1], e.g. (None,Move,-1) moves to EOF. slice refers to the current text slice being worked on by the Tagging Engine. Always matches, does not move the head position. This command is only used internally by the Tag Table compiler, but can also be used for writing Tag Table definitions, e.g. to follow the path the Tagging Engine takes through a Tag Table definition. Remains undocumented for this release. Instead of appending (tagobj,l,r,subtags) to the taglist upon successful matching, call tagobj(taglist,text,l,r,subtags) or tagobj(taglist,text,l,r,subtags,context) if a context object was passed to the tag() function. Instead of appending (tagobj,l,r,subtags) to the taglist upon successful matching, append the match found as string. Note that this will produce non-standard taglists ! It is useful in combination with join() though and can be used to implement smart split() replacements algorithms. Instead of appending (tagobj,l,r,subtags) to the taglist upon successful matching, call tagobj.append((None,l,r,subtags)). Instead of appending (tagobj,l,r,subtags) to the taglist upon successful matching, append tagobj itself. Note that this can cause the taglist to have a non-standard format, i.e. functions relying on the standard format could fail. This flag is mainly intended to build join-lists usable by the join()-function (see below). If this flag is set, the current position of the head will be reset to l (the left position of the match) after a successful match. This is useful to implement look-ahead strategies. Using the flag has no effect on the way the tagobj itself is treated, i.e. it will still be processed in the usual way. Useful as argument for 'Jump'. Useful as argument for 'Fail' and 'EOF'. Jumps to a table index beyond the tables end, causing the current table to immediately return with 'matches ok'. Jumps to a negative table index, causing the current table to immediately return with 'failed to match'. Useful as arguments for 'Move': (None,Move,ToEOF) moves the head to the character behind the last character in the current slice, while (None,Move,ToBOF) moves to the first character. Useful as argument for 'Table' and 'SubTable'. See above for more information. Internally, the Tag Table is used as program for a state machine which is coded in C and accessible through the package as tag() function along with the constants used for the commands (e.g. Allin, AllNotIn, etc.). Note that in computer science one normally differentiates between finite state machines, pushdown automata and Turing machines. The Tagging Engine offers all these levels of complexity depending on which techniques you use, yet the basic structure of the engine is best compared to a finite state machine. Tip: If you are getting an error TypeError: call of a non-function while writing a table definition, you probably have a missing comma (',') somewhere in the tuple ! Writing these Tag Tables by hand is not always easy. However, since Tag Tables can easily be generated using Python code, it is possible to write tools which convert meta-languages into Tag Tables which then run on all platforms supported by mxTextTools at nearly C speeds. ● Mike C. Fletcher has written a nice tools for generating Tag Tables using an EBNF notation. You may want to check out his SimpleParse add-on for mxTextTools. ● Tony J. Ibbs has also started to work in this direction. His meta-language for mxTextTools aims at simplifying the task of writing Tag Table tuples. More references to third party extensions or applications built on top of mxTextTools can be found in the Add-ons Section. The packages includes a nearly complete Python emulation of the Tagging Engine in the Examples subdirectory (pytag.py). Though it is unsupported it might still provide some use since it has a built-in debugger that will let you step through the Tag Tables as they are executed. See the source for further details. As an alternative you can build a version of the Tagging Engine that provides lots of debugging output. The feature is only enabled if the module is compiled with debug support and output is only generated if Python is run in debugging mode (use the Python interpreter flag: python -d script.py). The resulting log file is named mxTextTools.log. It will be created in the current working directory; messages are always appended to the file so no trace is lost until you explicitly erase the log file. If the log file can not be opened, the module will use stderrfor reporting. To have the package compiled using debug support, prepend the distutils command mx_autoconf --enable-debugging to the build or install command. This will then enable the define and compile a debugging version of the code, e.g. installs a debugging enabled version of mxODBC on both Unix and Windows (provided you have a compiler installed). The mxTextTools.log file should give a fairly good insight into the workings of the Tag Engine (though it still isn't as elegant as it could be). TextSearch objects provide a very fast way of doing repeated searches for a string in one or more target texts. The TextSearch object is immutable and usable for one search string per object only. Once created, the TextSearch objects can be applied to as many text strings as you like -- much like compiled regular expressions. Matching is done exact (doing translations on-the-fly if supported by the search algorithm). Furthermore, the TextSearch objects can be pickled and implement the copy protocol as defined by the copy module. Comparisons and hashing are not implemented (the objects are stored by id in dictionaries). Depending on the search algorithm, TextSearch objects can search in 8-bit strings and/or Unicode. Searching in memory buffers is currently not supported. Accordingly, the search string itself may also be an 8-bit string or Unicode. In older versions of mxTextTools there were two separate constructors for search objects: BMS() for Boyer-Moore and FS() for the (unpublished) FastSearch algorithm. In mxTextTools 2.1 these two constructors were merged into one having the algorithm type as parameter. Create a TextSearch substring search object for the string match implementing the algorithm specified in the constructor. Enhanced Boyer-Moore-Horspool style algorithm for searching in 8-bit text. Unicode is not supported. On-the-fly translation is supported. Enhanced Boyer-Moore style algorithm for searching in 8-bit text. This algorithm provides better performance for match patterns having repeating sequences, like e.g. DNA strings. Unicode is not supported. On-the-fly translation is supported. Not included in the public release of mxTextTools. Trivial right-to-left search algorithm. This algorithm can be used to search in 8-bit text and Unicode. On-the-fly translation is not supported. algorithmdefaults to BOYERMOORE (or FASTSEARCH if available) for 8-bit match strings and TRIVIAL for Unicode match strings. translate is an optional translate-string like the one used in the module 're', i.e. a 256 character string mapping the oridnals of the base character set to new characters. It is supported by the BOYERMOORE and the FASTSEARCHalgorithm only. This function supports keyword arguments. DEPRECATED: Use TextSearch(match, translate, BOYERMOORE) instead. DEPRECATED: Use TextSearch(match, translate, FASTSEARCH) instead. Search for the substring match in text, looking only at the slice [start:stop] and return the slice (l,r) where the substring was found, or (start,start)if it was not found. Search for the substring match in text, looking only at the slice [start:stop] and return the index where the substring was found, or -1 if it was not found. This interface is compatible with string.find. Same as search(), but return a list of all non-overlapping slices (l,r) where the match string can be found in text. Note that translating the text before doing the search often results in a better performance. Use string.translate() to do that efficiently. To provide some help for reflection and pickling the TextSearch object gives (read-only) access to these attributes. The string that the search object will look for in the search text. The translate string used by the object or None (if no translate string was passed to the constructor). The algorithm used by the TextSearch object. For possible values, see the TextSearch() constructor documentation. The CharSet object is an immutable object which can be used for character set based string operations like text matching, searching, splitting etc. CharSet objects can be pickled and implement the copy protocol as defined by the copy module as well as the 'in'-protocol, so that c in charset works as expected. Comparisons and hashing are not implemented (the objects are stored by id in dictionaries). The objects support both 8-bit strings and UCS-2 Unicode in both the character set definition and the various methods. Mixing of the supported types is also allowed. Memory buffers are currently not supported. Create a CharSet object for the given character set definition. definition may be an 8-bit string or Unicode. The constructor supports the re-module syntax for defining character sets: "a-e" maps to "abcde" (the backslash can be used to escape the special meaning of "-", e.g. r"a\-e" maps to "a-e") and "^a-e" maps to the set containing all but the characters "abcde". Note that the special meaning of "^" only applies if it appears as first character in a CharSet definition. If you want to create a CharSet with the single character "^", then you'll have to use the escaped form: r"\^". The non-escape form "^" would result in a CharSet matching all characters. To add the backslash character to a CharSet you have to escape with itself: r"\\". Watch out for the Python quoting semantics in these explanations: the small r in front of some of these strings makes the raw Python literal strings which means that no interpretation of backslashes is applied: r"\\" == "\\\\" and r"a\-e" == "a\\-e". Return 1 if char is included in the character set, 0 otherwise. Search text[start:stop] for the first character included in the character set. Returns None if no such character is found or the index position of the found character. directiondefines the search direction: a positive value searches forward starting from text[start], while a negative value searches backwards from text[stop-1]. Look for the longest match of characters in text[start:stop] which appear in the character set. Returns the length of this match as integer. directiondefines the match direction: a positive value searches forward starting from text[start] giving a prefix match, while a negative value searches backwards from text[stop-1]giving a suffix match. Split text[start:stop] into a list of substrings using the character set definition, omitting the splitting parts and empty substrings. Split text[start:stop] into a list of substrings using the character set definition, such that every second entry consists only of characters in the set. Strip all characters in text[start:stop] appearing in the character set. where indicates where to strip (<0: left; =0: left and right; >0: right). To provide some help for reflection and pickling the CharSet object gives (read-only) access to these attributes. The definition string which was passed to the constructor. This is the interface to the Tagging Engine. text may be an 8-bit string or Unicode. tagtable must be either Tag Table definition (a tuple of tuples) or a compiled TagTable() object matching the text string type. Tag Table definitions are automatically compiled into TagTable() objects by this constructor. Returns a tuple (success, taglist, nextindex), where nextindex indicates the next index to be processed after the last character matched by the Tag Table. In case of a non match (success == 0), it points to the error location in text. If you provide a tag list it will be used for the processing. Passing None as taglist results in no tag list being created at all. context is an optional extension to the Tagging Engine introduced in version 2.1.0 of mxTextTools. If given, it is made available to the Tagging Engine during the scan and can be used for e.g. CallTag. This function works much like the corresponding function in module 'string'. It pastes slices from other strings together to form a new string. The format expected as joinlist is similar to a tag list: it is a sequence of tuples (string,l,r[,...]) (the resulting string will then include the slice string[l:r]) or strings (which are copied as a whole). Extra entries in the tuple are ignored. The optional argument sep is a separator to be used in joining the slices together, it defaults to the empty string (unlike string.join). start and stop allow to define the slice of joinlist the function will work in. Important: The syntax used for negative slices is different than the Python standard: -1 corresponds to the first character *after* the string, e.g. ('Example',0,-1) gives 'Example' and not 'Exampl', like in Python. To avoid confusion, don't use negative indices. This function can handle mixed 8-bit string / Unicode input. Coercion is always towards Unicode. Compare two valid taglist tuples w/r to their slice position. This is useful for sorting joinlists and not much slower than sorting integers, since the function is coded in C.
Produces a joinlist suitable for passing to join() from a list of tuples (replacement,l,r,...) in such a way that all slices text[l:r] are replaced by the given replacement. If one of these conditions is not met, a ValueError is raised. Returns the string with all characters converted to upper case. Note that the translation string used is generated at import time. Locale settings will only have an effect if set prior to importing the package. This function is almost twice as fast as the one in the string module. Returns the string with all characters converted to lower case. Same note as for upper(). Returns 1 iff text[start:stop] only contains whitespace characters (as defined in Constants/Sets.py), 0 otherwise. This function can handle 8-bit string or Unicode input. Works just like string.replace() -- only faster since a search object is used in the process. Apply multiple replacement to a text in one processing step. replacements must be list of tuples (replacement, left, right). The replacement string is then used to replace the slice text[left:right]. Note that the replacements do not affect one another w/r to indexing: indices always refer to the original text string. Replacements may not overlap. Otherwise a ValueError is raised. Works just like string.find() -- only faster since a search object is used in the process. This function can handle 8-bit string and Unicode input. Returns a list of slices representing all non-overlapping occurances of what in text[start:stop]. The slices are given as 2-tuples (left,right) meaning that what can be found at text[left:right]. Takes a string, removes all line breaks, converts all whitespace to a single separator and returns the result. Tim Peters will like this one with separator '-'. Returns a list that results from splitting text[start:stop] at all occurances of the character given in char. This is a special case of string.split() that has been optimized for single character splitting running 40% faster. Returns a 2-tuple that results from splitting text[start:stop] at the nth occurance of char. If the character is not found, the second string is empty. nth may also be negative: the search is then done from the right and the first string is empty in case the character is not found. The splitting character itself is not included in the two substrings. Looks at text[start:stop] and returns the first matching suffix out of the tuple of strings given in suffixes. If no suffix is found to be matching, None is returned. An empty suffix ('') matches the end-of-string. The optional 256 char translate string is used to translate the text prior to comparing it with the given suffixes. It uses the same format as the search object translate strings. If not given, no translation is performed and the match done exact. On-the-fly translation is not supported for Unicode input. This function can handle either 8-bit strings or Unicode. Mixing these input types is not supported. Looks at text[start:stop] and returns the first matching prefix out of the tuple of strings given in prefixes. If no prefix is found to be matching, None is returned. An empty prefix ('') matches the end-of-string. Splits text into a list of single lines. The following combinations are considered to be line-ends: '\r', '\r\n', '\n'; they may be used in any combination. The line-end indicators are removed from the strings prior to adding them to the list. This function allows dealing with text files from Macs, PCs and Unix origins in a portable way. Returns the number of lines in text. Line ends are treated just like for splitlines() in a portable way. Splits text into a list of single words delimited by whitespace. This function is just here for completeness. It works in the same way as string.split(text). Note that CharSet().split() gives you much more control over how splitting is performed. whitespace is defined as given below (see Constants). Returns text converted to a string consisting of two byte HEX values, e.g. ',.-' is converted to '2c2e2d'. The function uses lowercase HEX characters. Unicode input is not supported. Returns the string hex interpreted as two byte HEX values converted to a string, e.g. '223344' becomes '"3D'. The function expects lowercase HEX characters per default but can also work with upper case ones. Returns 1/0 depending on whether text only contains ASCII characters or not. These functions are deprecated and will be removed in a future release. Returns a character set for string: a bit encoded version of the characters occurring in string. If logic is 0, then all characters not in string will be in the set. Find the first occurence of any character from set in text[start:stop]. set must be a string obtained from set(). Strip all characters in text[start:stop] appearing in set. mode indicates where to strip (<0: left; =0: left and right; >0: right). set must be a string obtained with set(). Split text[start:stop] into substrings using set, omitting the splitting parts and empty substrings. set must be a string obtained from set(). Split text[start:stop] into substrings using set, so that every second entry consists only of characters in set. set must be a string obtained from set(). The TextTools.py also defines a few other functions, but these are left undocumented since they may disappear in future releases. The package exports these constants. They are defined in Constants/Sets. Note that Unicode defines many more characters in the following categories. The character sets defined here are restricted to ASCII (and parts of Latin-1) only. All of the above as CharSet() objects. All of the above as set() compatible character sets. This the cache dictionary which is used by the TagTable() compiler to store compiled Tag Table definitions. It has a hard limit of 100 entries, but can also be managed by user routines to lower this limit. The Examples/ subdirectory of the package contains a few examples of how tables can be written and used. # in upper case letters (see <XMP> handling). # is this a closing tag ? The above may look a bit like machine code, but it's a very fast implementation of an HTML scanner and runs on all supported platforms. Mike C. Fletcher has written a Tag Table generator called SimpleParse. It works as parser generating front end to the Tagging Engine and converts a EBNF style grammar into a Tag Table directly useable with the tag()function. Andrew Dalke has written a parser generator called Martel built upon mxTextTools which takes a regular expression grammer for a format and turns the resultant parsed tree into a set of callback events emulating the XML/SAX API. Entries enclosed in brackets are packages (i.e. they are directories that include a __init__.py file). Ones with slashes are just ordinary subdirectories that are not accessible via import. The package TextTools imports everything needed from the other components. It is sometimes also handy to do a from mx.TextTools.Constants.TagTables import *. Examples/ contains a few demos of what the Tag Tables can do.